Need a YouTube Intro Maker? Read through our Ultimate Guide! No doubt YouTube is growing in popularity fast and content makers are striving to create the most interesting content every day. A lot of people struggle to stand out in the massive world of YouTube. An interesting YouTube intro can help you achieve just that by capturing the viewers’ attention and time. Creating the perfect YouTube intro is not so easy and that is why YouTube intro makers are gaining more and more recognition for their easy and effective way to customize the intro. The best intro maker tools offer a complete set of editing tools including templates, easy-to-use editors, graphics, animations etc. The market is flooded with YouTube intro maker tools options. So, how do you choose right one? Well, we have compiled a list of the top 15 YouTube intro maker tools that will help you brand your video content gain more viewers. One of the most popular YouTube intro maker tools, Renderforest gives you the opportunity to add an interesting touch to your videos. You can insert creative animations, attractive promotional lines, capturing audio, and much more. Renderforest offers a wide and extensive variety of simple templates that are easily customizable. If you are looking to create a space-themed background, cartoon animation, slideshows, or even animated video, Renderforest will make the process easy and effective. 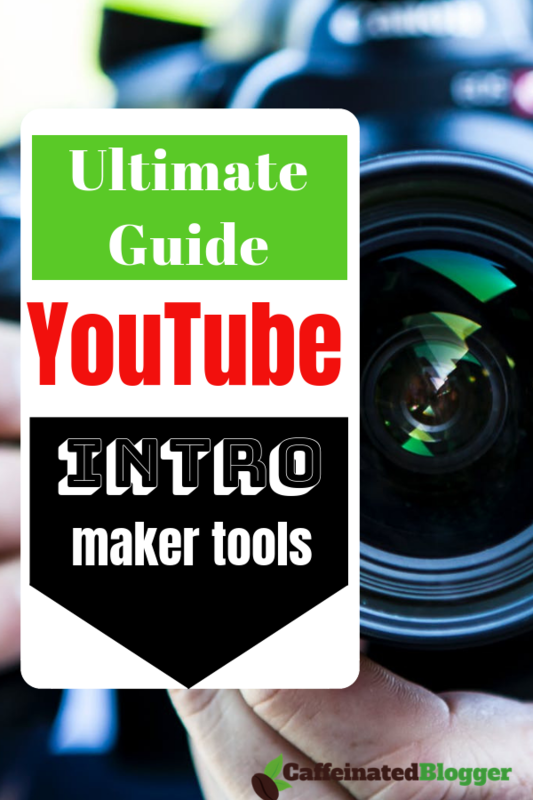 If you are on a budget, you will like this tool because this is a free youtube intro maker. Yes, you will need to pay for some special features but the basic features are available without any cost. Despite being one of the old school tools, Panzoid is a cult favourite and one of the best free youtube intro maker tools. Panzoid will help you create professionally sculpted videos that are impressive in its entirety. They offer a wide variety of templates that are easily customizable. You also get to enjoy a 3D animation tool to make your video more entrancing and attractive. You can edit your YouTube intro, modify backgrounds, add interesting logos, and much more. So, if your channel is just getting off the ground and you are looking for a basic, inexpensive, and effective YouTube intro maker, this is perfect for you. However, if you are looking to get intense and professional animation, you might be disappointed. Panzoid only caters basic and limited animations compared to full-fledged ones that other YouTube intro maker tools can offer. 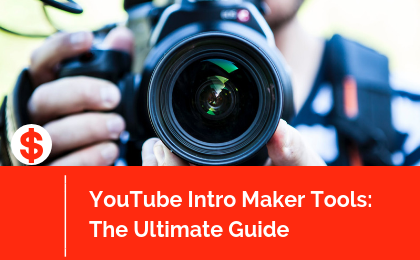 If you are new to the comprehensive world of YouTube, you need a YouTube intro maker tool that is simple, effective, and easy to navigate. Biteable is one of the simplest and the most user-friendly YouTube intro maker tool in the market. You can easily modify and customize your intros adding interesting touches. The 2D videos are of great quality but you do not get any 3D option which is disappointing in this rapidly evolving digital space. Biteable does offer free solutions for the basic services but you will have to pay for the upgraded and the more intense version. The free version contains the brand’s watermark which can be a problem for some YouTube content creators. If you are an amateur, looking to learn the ropes of intro making, Biteable is one of the best YouTube intro maker tools you will find. One of the most effective and free YouTube intro maker tools, Velosofy is easy, convenient, and perfect for amateurs as well as seasons YouTubers. Not only this YouTube intro maker tool is completely free but also it doesn’t have any watermarks to complicate your content creation. Although you do not have to deal with any watermarks, the brand does command you to give credits for the work done. So, make sure you mention the credit while uploading your video to avoid any unnecessary proprietary problems. Velosofy offers a wide and extensive range of free templates that can be customized and modified according to your needs. The best thing about this tool is that it allows you to download your chosen template file on your computer. It simplifies the entire process of customizing it and using the right software. The navigation is easy, effective, and extremely user-friendly so that anyone can handle the functions. If you want to make your YouTube video intro cool, quirky, and eccentric, Ivipid is a great choice. The navigation is relaxed and convenient and the videos are easy to make. It offers a decent range of templates that can be customized and modified according to your needs. Although the tools are not free, the pricing is quite affordable and not too exorbitant. The software also allows you to upload the edited video to the cloud so that you can easily and effortlessly access them whenever and wherever you want. The one problem you might face is the lack of advanced editing and intense customization options. It does not support high-end editing and is not exactly suited to professional needs. Ivipid is mostly for amateur YouTubers looking to create funky and quirky content for their growing channel. If you want to create a unique and distinctive intro that can help you stand out in the crowd, Fiverr is the right tool for you. Being one of the popular YouTube intro maker tools, it allows high-end customization to add that distinguishing touch to the intro of your YouTube video. The website offers a wide and extensive range of unique templates so that you can create something new and eccentric. Fiverr is not free and it can be somewhat expensive at times. The pricing generally starts from $5 and goes higher according to the services you use. The one problem content creators might face is the limited revision after which they will have to buy more solutions to fully customize your video. Despite the high rates, YouTubers use this tool because of its quality and efficiency. If you are looking for abstract, intense, and artistic design templates for your intro, Tube Arsenal needs to be at the top of your list of the best YouTube intro maker tools. Tube Arsenal is extremely popular amongst YouTube content creators mainly because of the variety of conceptual and imaginative flat design templates it offers. It also offers particle-effect laden templates to help you create unique and eccentric intros to capture your audience. While its features are quite impressive, it is a bit on the pricier side. You need to pay for every intro you create even if you are using the same template. It can be affordable if you want to create just one, but if you are creating different intros for several brands, it will be quite expensive. If you want your videos to be in HD, there are extra charges for those too. One of the best YouTube intro maker tools in the digital space. Filmora offers fully-fledged editing, animation, customization studio for new and seasoned content creators. It offers many advanced features and intense customization options which will help give a very professional outlook to your YouTube intro. One unique feature that makes Filmora stand out from its competitors is its ability to allow musical tracks to be incorporated into your intro. They even offer a mobile app so that you can work on your video even if you are on-the-go. Yes, it is quite expensive but then again you get numerous advanced and varied features too. VideoHive is one of the most diverse YouTube intro maker tools. It offers a massive collection of stock footage and video effects to choose from. With over 6 million options, you are will find whatever you are looking for to make your intro more captivating and striking. The website offers high-quality videos to ensure you get your money’s worth. The services are definitely not free and you have to pay as per the template you choose. The one problem you might have to face with your VideoHive purchase is that you will need to edit it yourself after the purchase. The website offers no help in customizing or modifying the video to suit your requirements. Videobolt is one of the simplest and the most convenient YouTube intro maker tools. It’s perfect for beginners who cannot manage the complicated and complex software. It offers amazing quality tools and a website interface that is excellent, Videobolt is a great choice for newcomers as well as seasoned Youtubers. However, if you are looking for solutions that are free of cost, you will be disappointed! Videobolt is expensive and they only allow one video a month which can be a huge problem. Another problem you might face is the lack of knowledge about the editor’s advanced and intense features. The few tutorials do not explore all its features and you may find some advanced features hard to figure out. If you are looking for YouTube intro maker tool that is simple, comprehensive, and focused on creating an interesting animated intro to feature your logo, Intro Maker is exactly what you need. Even though the interface is simple and easy, you can make full HD videos for your YouTube channel effortlessly. Intro Maker does offer some free video options but the rest have to be purchased. You cannot customize the template or the video you choose which can be a problem for some creative content creators. If you want 3D quality, you will be disappointed, Intro Maker only offers simpler videos and only in MOV format. Well-recognized as one of the best YouTube intro maker tools, RenderFX offers stunning 3D animation to make your intro more captivating and striking. If you want to create top-notch gaming intro for your video, RenderFX is perfect for you. It offers flashy particle effects along with advanced animated solutions to create your logo and market your brand in the intro. You can easily customize your video according to your needs. While it does offer many advanced features, it is easy to get daunted and confused while navigating RenderFX. The website lacks the easy and effortless navigation when compared to others. The majority of the Youtubers start making the videos on the smartphones and look for an editing software online on their phone so that they can upload directly. If you are in search of such an YouTube intro maker tool, Legend is perfect for you because it is specially crafted for all the android users out there. Legend can help you create text animation along with all the other editing and modifications. You can take advantage from a variety of free templates and animated videos, modify background colour and animation, and much more. Some of the templates and videos are free, and if you do decide to spend money, the prices are quite affordable and inexpensive. You do not have to worry about the watermarks on your videos. Moovly offers high-quality and extremely fluid animations. It is a great option for amateurs as well as seasoned YouTubers. Moovly offers over 175 million animated objects, videos, and sound files, you can find just about anything. You can also use your own material if you do not find your desired video or template. Moovly allows effortless and convenient navigation with an easy to drag and drop interface. The videos are not only of high quality but the end results are professional and perfect. Apart from being one of the most flexible YouTube Intro Makers, it lets you create explainer videos, advertisements, presentations, animated videos, and much more. If you are looking to create powerful, imaginative, and optimizable intros, Explee is the one for you. There are stunning customization options to choose from, it also allows you to create captivating animated videos to make your intro more striking and attractive. Explee offers a wide variety of video templates to help you easily create the perfect intro. There are also more than 6000 animations on offer for a fast and efficient logo creation. However, if you are new to the world of YouTube and looking for a cost-effective tool, Explee might not be the best option. Not only you have to pay for all its services but it also is more on the pricier side. Your Turn: Comment and Implement! I truly hope that you’ve found this list useful. Now I want to hear from you: What do you think is the best YouTube intro marker tool? Are there any tools I’ve missed and should include?